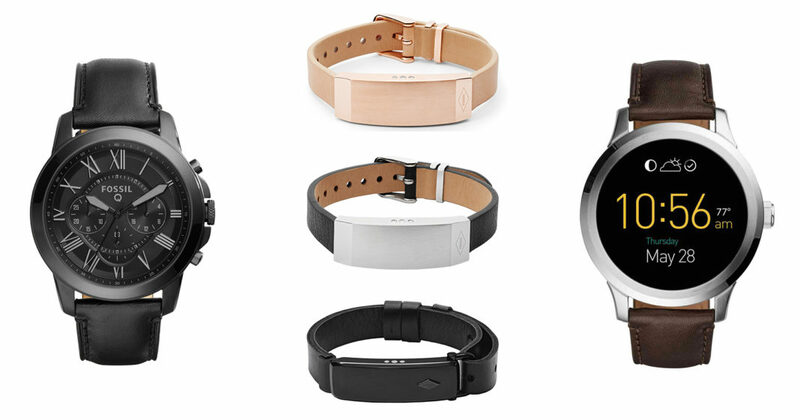 These wearables run on WEAR OS incorporated with Snapdragon Platform for Wearables. Indian market has seen probably its biggest ever launch from Fossil Group. Fossil is known for its accessories in the wide field of lifestyle, luxury and classy collections. More or less, six brands come under the umbrella of Fossil group in India, catering a wide variety of smartwatches and other wearables. Prices of these products are different from product to product based on the luxury associated with each sub-brand. Besides all this, all of these products carry a very powerful processor from Qualcomm. This processor, called the Snapdragon Wear 2100, runs these devices very smoothly supporting Google’s very own Wear OS based of Android OS specifically designed to work with smart wearables. Fossil made seven of its smartwatches available in Indian market this past week. These smartwatches run on Wear OS and are branded under six different brands of Fossil Group. These wearables are elegant in appearance and add to the worldliness and urbanity of the user. These traits make it stand out in already developing smart wearables market of India. As compared to Garmin Smart Wearables and other major wearable brands recently introduced to Indian market, Fossil smartwatches are by far the most elegant and fashionable for what it worth. Prices of these super smart wearables begin somewhere around 19K Indian rupees with the 4th generation Fossil Smartwatch, known commonly by the name of Fossil Gen 4 being the one at 19,995 Indian rupees. The Venture HR and Skagen Falster 2 are both priced at INR 19,995 while the Explorist HR costs around 21,995 Indian Rupees. All of the six smartwatches are not very different from each other in terms of specifications and feature. Each carries the same processor and the operating system. They all carry an impressive touch input display screen. Bluetooth, WiFi and charging on magnetic phenomenon are some of the other major feature. These smartwatches carry support for softwares above iOS 9.3 and Android KitKat and above.